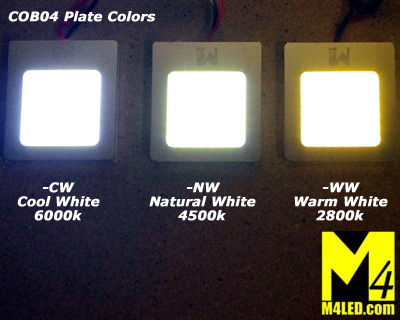 M4 Offers White LED Lights in three color ranges, Warm White (2800-3200k), Cool White (5500-6000k), and Natural White (4500k) is also available in our Elite Series LEDs. Please review the pictures below. The Choice of which color to use depends on the personal preference of the end user, and every customer sees light colors differently. Cool Bright White often appears visibly brighter given the same chips in the same configuration. 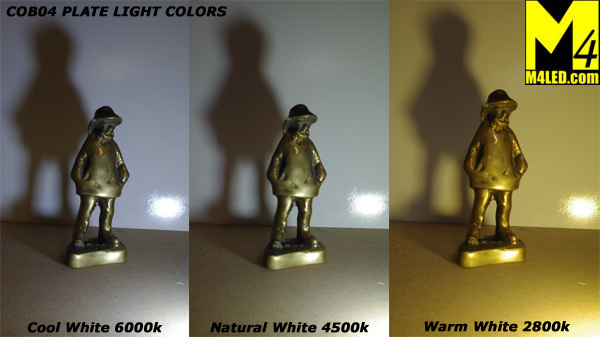 At the other end of the spectrum, Warm White is designed to replicate Incandescent Light bulbs many customers are used to. Natural White is between, still bright, but with a little warmth. 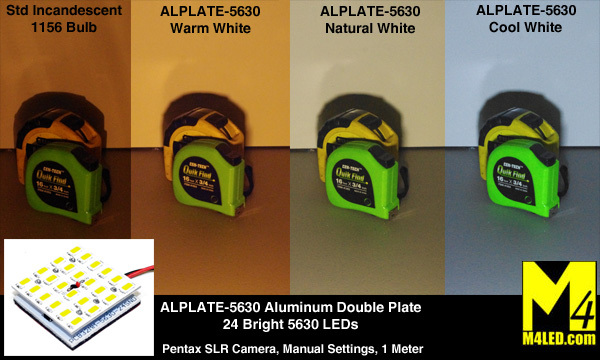 We try to keep our Cool Bright White lights “White”, and we keep the temperature range to 5500-6000k so they are not as “Bluish”. A standard incandescent bulb has a color range of 2700-3300k but they become less bright and more yellow with age. 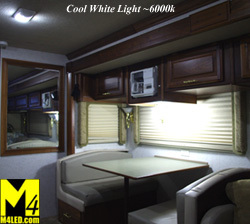 Many florescent lights sold as Cool White are in the 5500-6000k range and our Cool White LED bulbs big and small emit a similar white-white hue. Some customers prefer the new look of Cool White, others like the traditional look of Warm White. 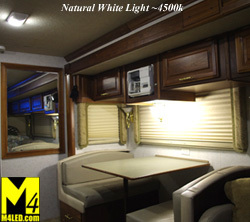 As a compromise we also offer Elite Series bulbs in Natural White 4500k as well. 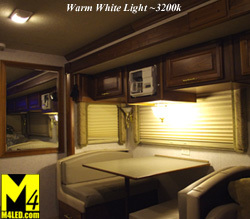 Some choose to mix the colors, Warmer White for ambient lighting, and Cooler White for counter and storage lights. 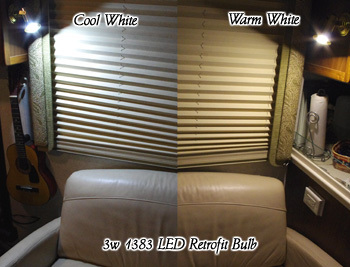 Some of the newest RVs often come with Cool White LED bulbs since they give more visible punch with less LEDs. We have heard many reports that the aging eye wants more visible light and more contrast, and many of the applicable customers choose Cool White for this reason. Conversely, we have also heard from a small handful of customers that Cool White is too bright after cataracs surgery.